The Vision Computer takes the guess work out of "Which Looks Clearer". This Vision Computer is especially good for children and seniors as well as every one in between. 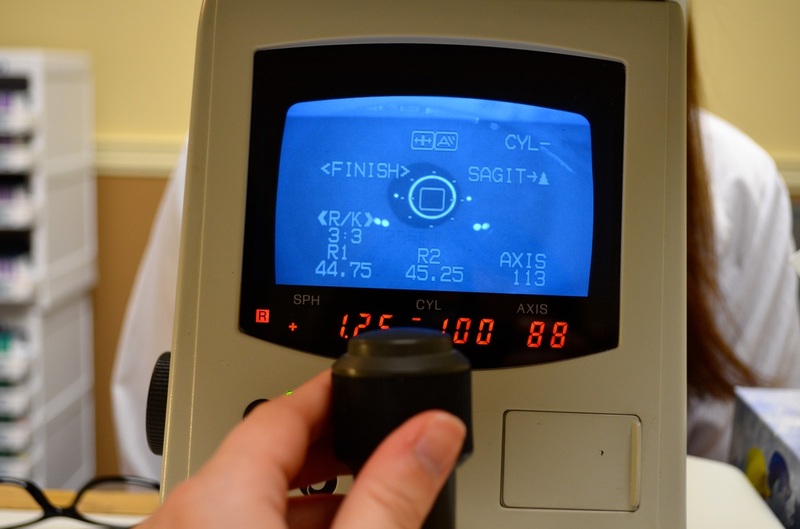 It makes the refraction so much easier for the patient as well as obtaining an extremely accurate eye glass Rx. With just a very slight puff of air aimed at the front of the eye it measures the inside pressure of the eye. 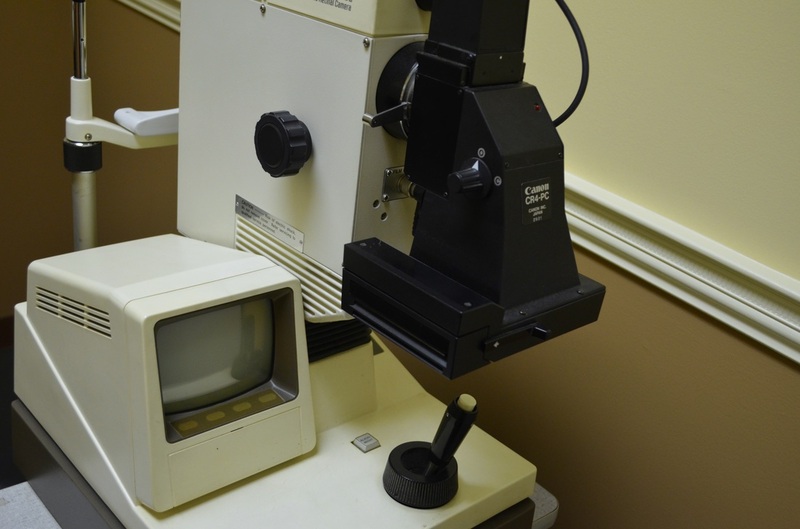 It is very accurate as a screening instrument in determining the the possibility of glaucoma. 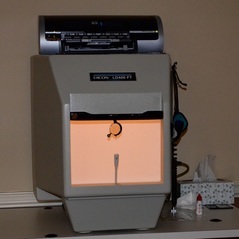 With this instrument the eye doctor can examine in detail and under high magnification all the tissues in front of the eye as the cornea and anterior chamber including the eye lens. It helps to evaluate whether the lens has a cataract ready for removal. It helps the optometrist evaluate many other diagnoses. This instrument is used to detect any vision losses from the back of the eye to the brain. It displays those areas from the central vision to the peripheral areas that may have been affected by various problems as glaucoma, etc. Takes pictures of the inside back of the eye, viewing the optic nerve head with the surrounding blood vessels. 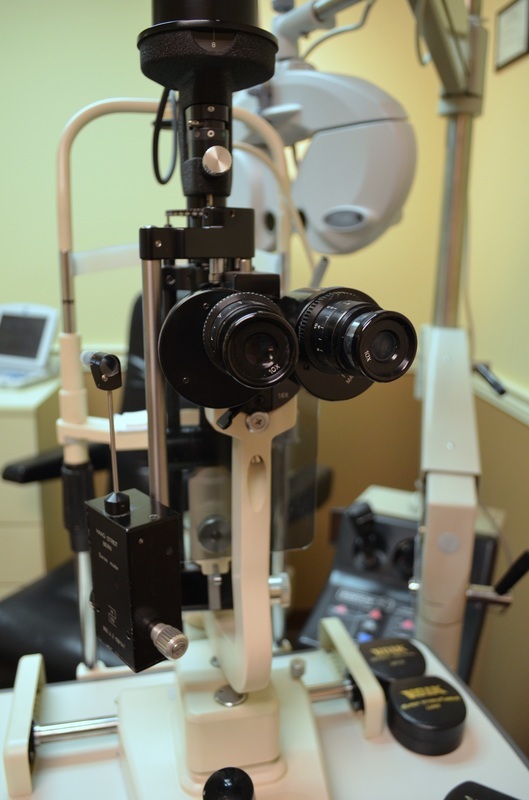 The eye doctor can easily compare any changes that may have taken place over time.